FilmoraGo is a free video editing application for Abdroid and iOS, it is the most powerful video editing software application that can generate watermark free clips. All generated videos can be easily shared with social media platforms like Whatsap, Facebook, Instagram and YouTube etc. FilmoraGo is best known for its 3 easy step processing: select, create and share. It is possible to mix videos and photos together with its fully featured video studio. So many stunning effects and templates can be added with its one touch access. Music can be easily synchronised to video clips. FilmoraGo is well known as all in one type of video editor. This software tool is rated as most trustworthy and reliable platform by all professionals throughout the world. 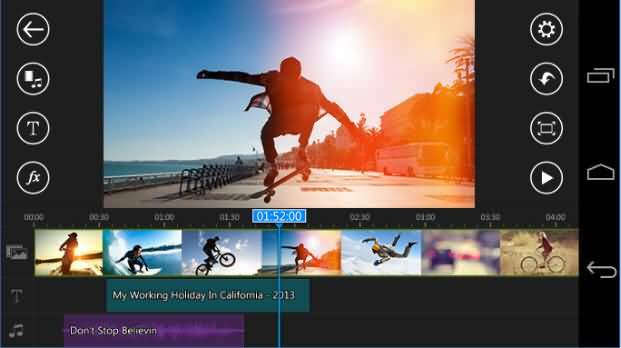 PowerDirector serves users with advanced timeline features for video editing, photo video editor, free video effects and slow motion etc. The best part is that it supports 4K movies and users can easily combine action movie effects along with voce over to produce YouTube ready clips. Possess efficient video editor with quick editing feature. Attractive video effects with facility to generate video/pic collage. Slow motion videos with voice over and music synch facility. Easy export functions for fast sharing abilities. Premiere Clip can provide you fastest service for creation of fun oriented videos and they can be efficiently shared on other platforms. Users can easily select any soundtrack during editing and the freedom editor provides services for powerful video customization. Easy drag and drop features for lighting adjustments, visual polish, slow motion effects, transitions and music synchronisation. 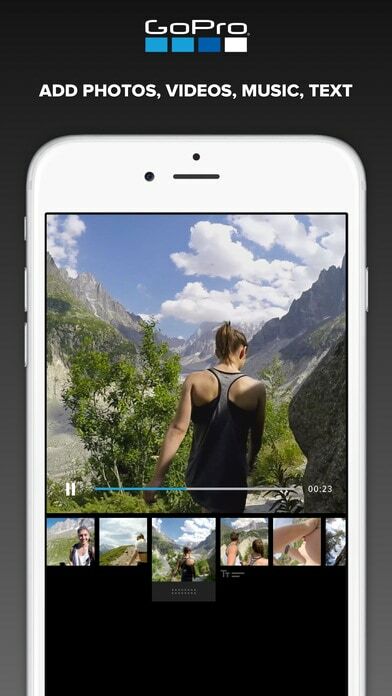 Photo motion and creative synch features are added. Users can now adjust all files, deigns assets, fonts and settings with ease. It is much easier to share projects as well as edited videos directly on twitter, YouTube and facebook. 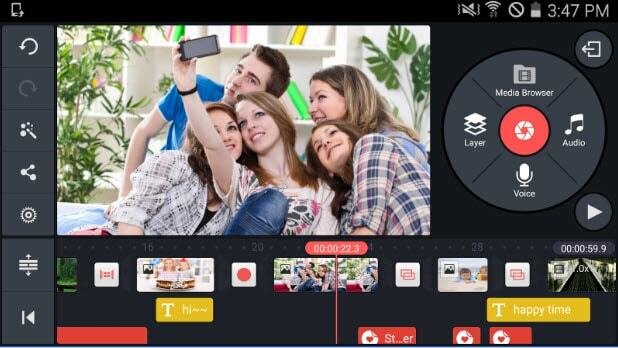 Magisto Video Editor tool helps to adjust videos and photos with musical effects so that interactive projects can be shared with social media platforms. This tool is currently serving more than 80 million users from every corner of world. It works like professional editing software with easy to use timeline. It is much easier to share videos with special effects. 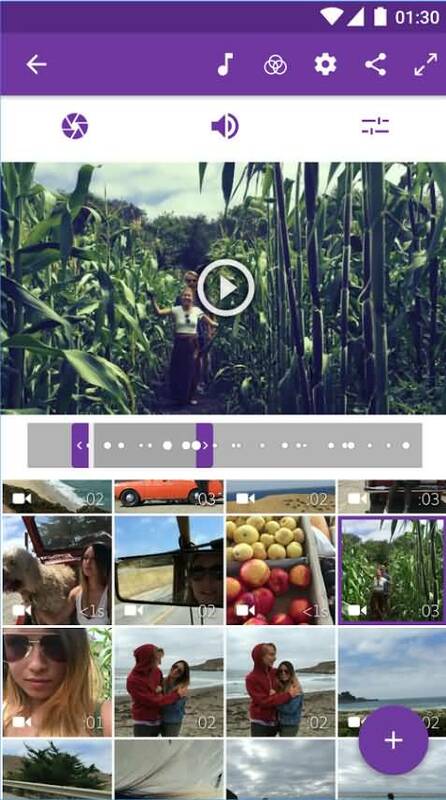 It works like an auto video maker tool with sensational video creation abilities. So many business special features with ability to create captions and logos. Drag and drop facilities allow fast access to files for editing. It is well known as a fully features professional editor tool for android users that can extend support to multiple layers of text, images and videos. It offers so many precise settings for 3D transitions, colour LUT filters, volume control, multi track audio, trimming and cutting. Speed control, instant preview options with additional transition effects. Variety of themes, visual, audio and animation effects. Easy sharing over social media platforms like YouTube, facebook and Instagram etc. The colour control features are appreciated by all professionals as well as beginners. 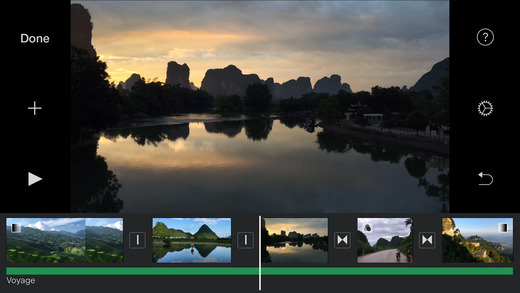 iMovie offers intuitive streamlined design with multi touch type gestures. You can enjoy advanced features of this tool to tell stories, share favourite moments, browse video library and to create stunning movies with ease. 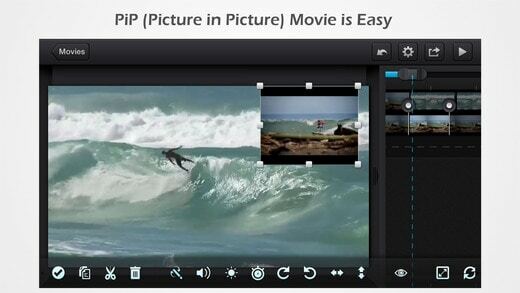 The iMovie extensions can make your video editing experience memorable and fun oriented. Much easier to share and browse videos. It can generate Hollywood style trailers. 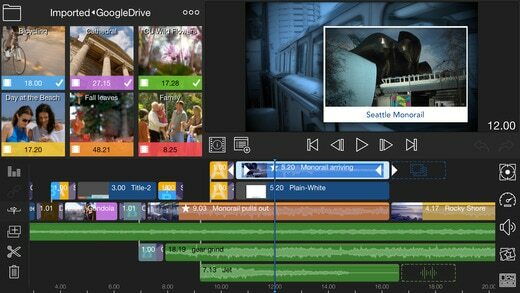 iMovie extensions for building high quality projects. Users need to follow few simple steps to develop awesome videos by picking collection of favourite images and videos from huge library. 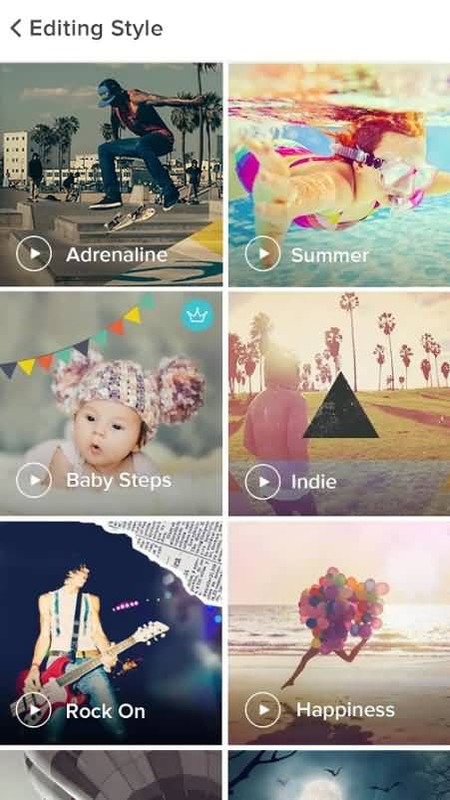 It offers lots of advanced transitions and effects along with customizable filters, text and music synch abilities. Quick analyse options with lots of graphics and transitions. Fast save and share options. Huge library provides easy storage options with fast access facility. It is a professional level video editing tool that is commonly used by filemakers, journalists and professionals on mobile devices. This tool works with iOS compatible technologies and the free expert support with incredible community forums can help users to learn new aspects so easily. There are numbers of advanced facilities for editing graphics, titles, videos, photos along with sound effects and narration abilities. Multiple layer effects with additional colour correction tools. Slow as well as fast motion support along with wide media library. It is now much easier to draw movies with powerful platform of Cute Cut tool. Here you will be able to access unique features for development of high quality movies within very less time. This free software tool offers Hollywood style editing facilities. It provides user friendly drag and drop features with easy to arrange media segment facilities. Fast drawing tools with direct sharing abilities. There are so many customizable transition effects. 20 plus pre defined beautiful transitions that can make your videos more attractive. Animoto offers facilities to edit images and videos with stylish transitions and everything can be shared directly via messages, facebook, Twitter, email to impress viewers. You can easily choose so many effects with animoto basic as well as plus HD video facilities. It is much easier to select videos and photos from iCloud and camera roll. 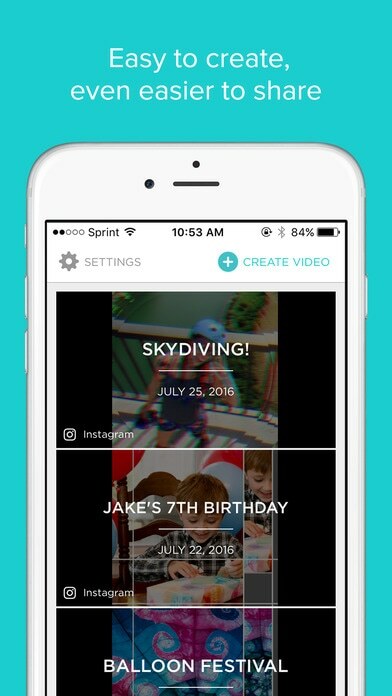 Animoto is always available for free to access features and it can assist in editing of longer video clips. There are four unique subscription offers with monthly and yearly package. Timeline holds more than 50 stylish video creation elements that assists professionals in development of classic video projects.